I snapped this while riding through the streets of Old Dehli on rickshaw. 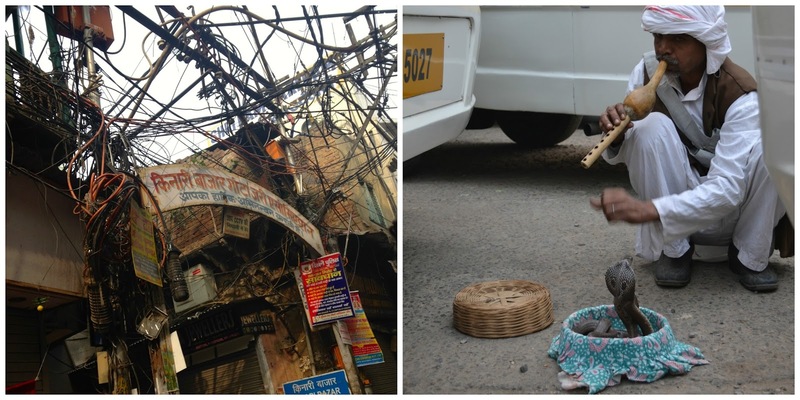 I'm sure all those power lines aren't a fire hazard... // A snake charmer. I was really impressed/mystified/terrified by this until I learned that the cobras used in performances are defanged. Then I was just sad for them. Humayun's Tomb in Old Dehli. Painting classrooms // My sweet new friends from the school in Deepalaya! Teaching at Deepalaya Gusbethi. 70 of the children at this school were orphaned or abandoned and live in a home on the school's property. 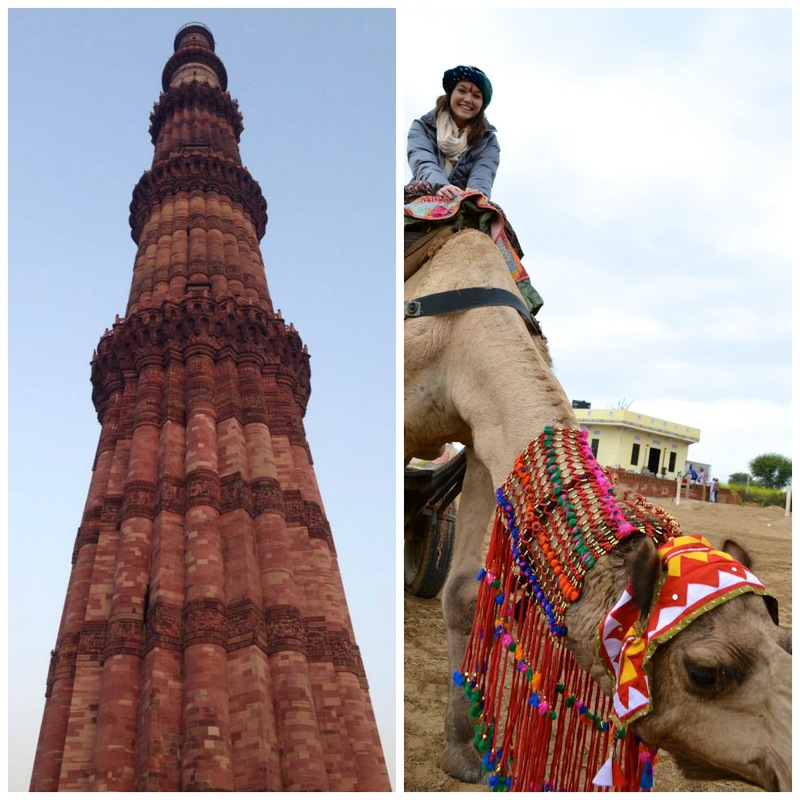 Qutab Minar // I RODE A CAMEL. 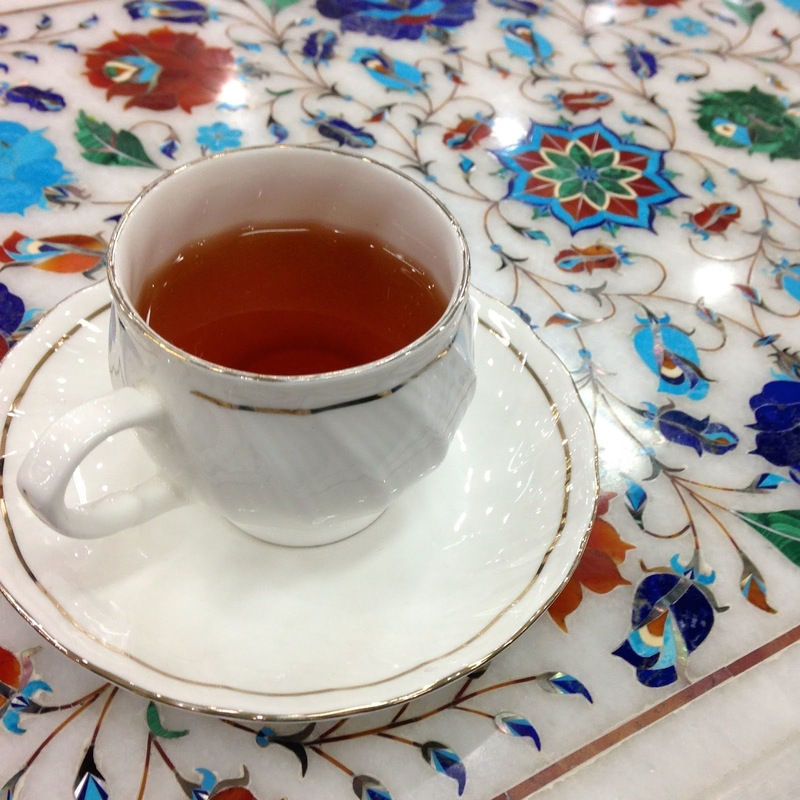 The Taj Mahal is truly the most beautiful place I have ever been. Not only is it an architectural masterpiece, but the fact that the emperor built this tomb as a symbol of his eternal love for his wife makes it even more amazing. 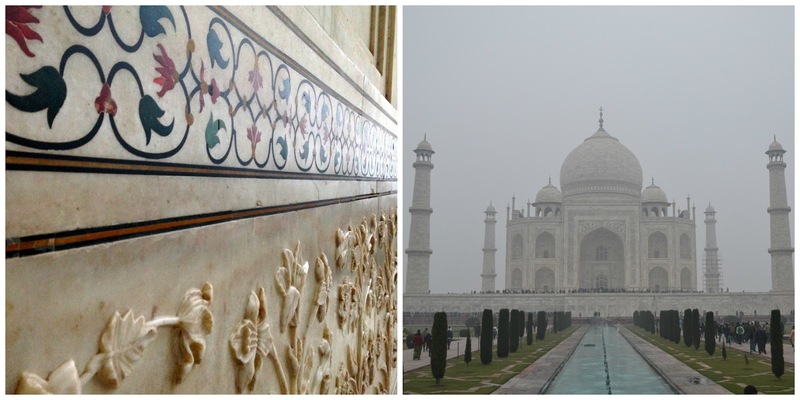 Every piece of marble that makes up the Taj is hand carved. The detail is just insane! The Pink Palace in Jaipur. My favorite city that we visited. 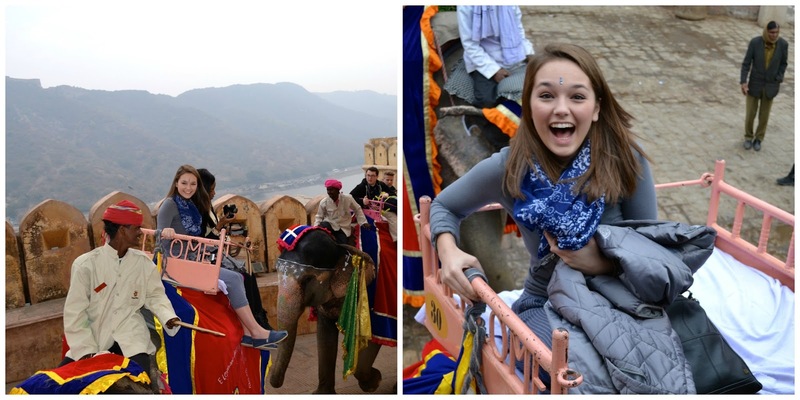 Riding elephants on New Years Day. I'd say this was the best way ever to kick off 2015! The most amazing guide ever, Sandeep! Seriously, if you are looking for a student travel company, People to People is THE. BEST. I could not recommend their programs more! 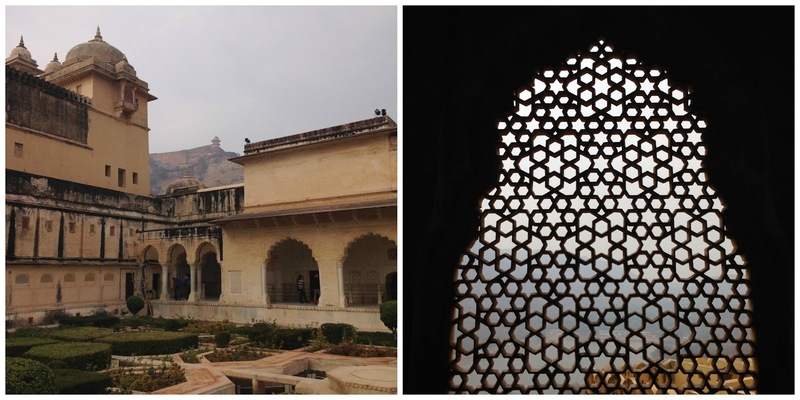 In love with India's architecture. 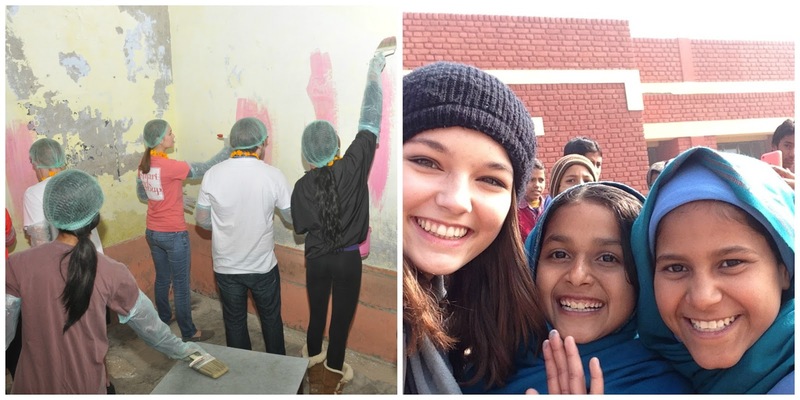 We painted classrooms, planted trees, flew kites, and shared so many smiles with children at this school. These girls touched my heart and changed my life forever. My favorite experience of the whole trip was getting to know them. We are from completely different worlds, yet have so much in common. Smiles, laughs, and love are a universal language. Talking to this man was a privilege. His passion for his job was so inspiring and later he told me that he was the sixth generation in his family to do it. He offered our whole group flowers to celebrate the new year. 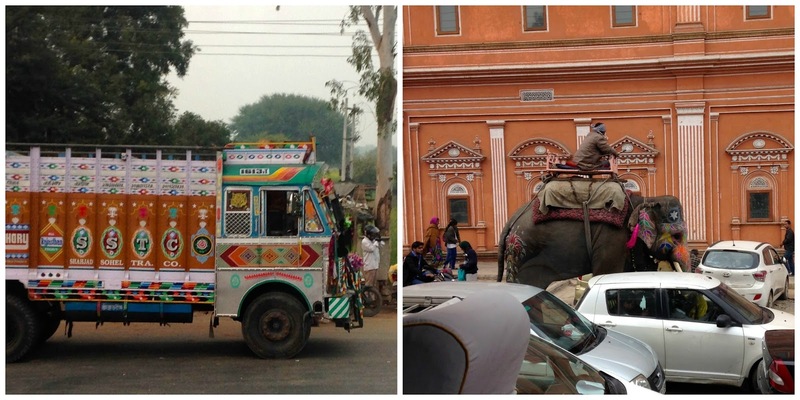 Methods of transportation in India: Camels, elephants, colorful busses, tiny rickshaws, you name it. I was never bored during long drives because there was always so much to look at! 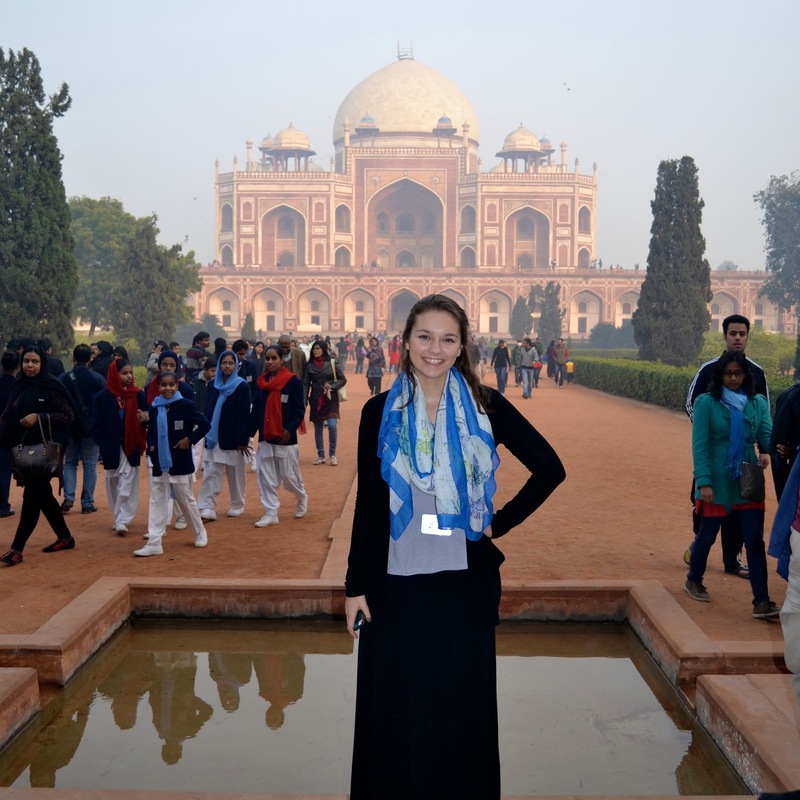 Winter in India was much colder than I expected. On the night we camped, I had to layer every warm piece of clothing I packed! Pretty stylish if I do say so myself... NOT! Siras, Rajasthan. 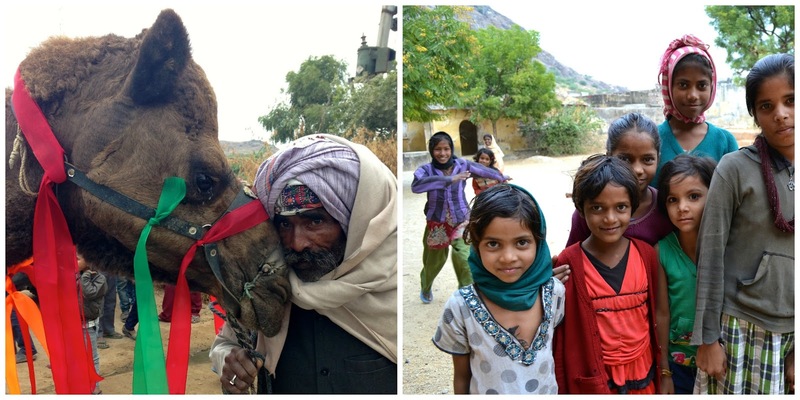 I spent two days in this small, rural village and loved every second. This was the most authentic little place and everyone made us feel so welcome. 35 hours of travel later, I arrived home smelling like curry, feeling hazy and jet lagged, and full of the most amazing memories. This trip changed my life in all of the best ways. 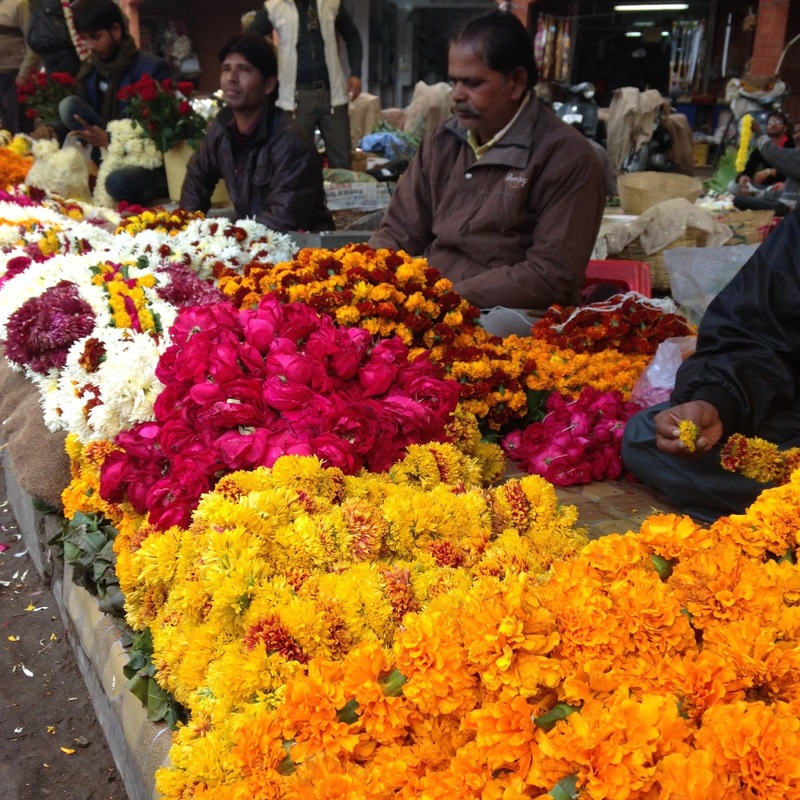 India is the most colorful, chaotic, beautiful place I have ever been and I can't even describe the peace and completely new perspective I came home with. India's history was so fascinating. 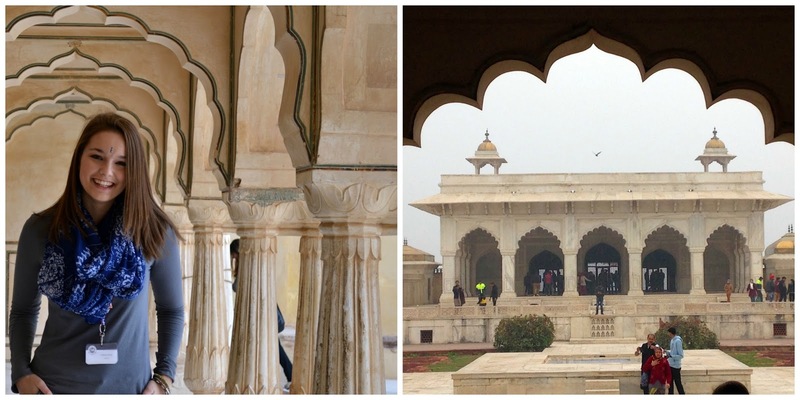 The architecture was stunning. The almost tangible spirituality was beautiful. The food was great (and crazy spicy!). But most of all, the people were the most kind and genuinely happy I'd ever met. Don't even get me started on the people! I have never felt more connected to a community than on this trip, whether I really got to know someone or simply exchanged a smile and a "namaste". I pray for an end to the severe poverty, gender discrimination, and hardship that so much of this beautiful country faces. Seeing how little people could have, yet how happy they still were was so eyeopening. 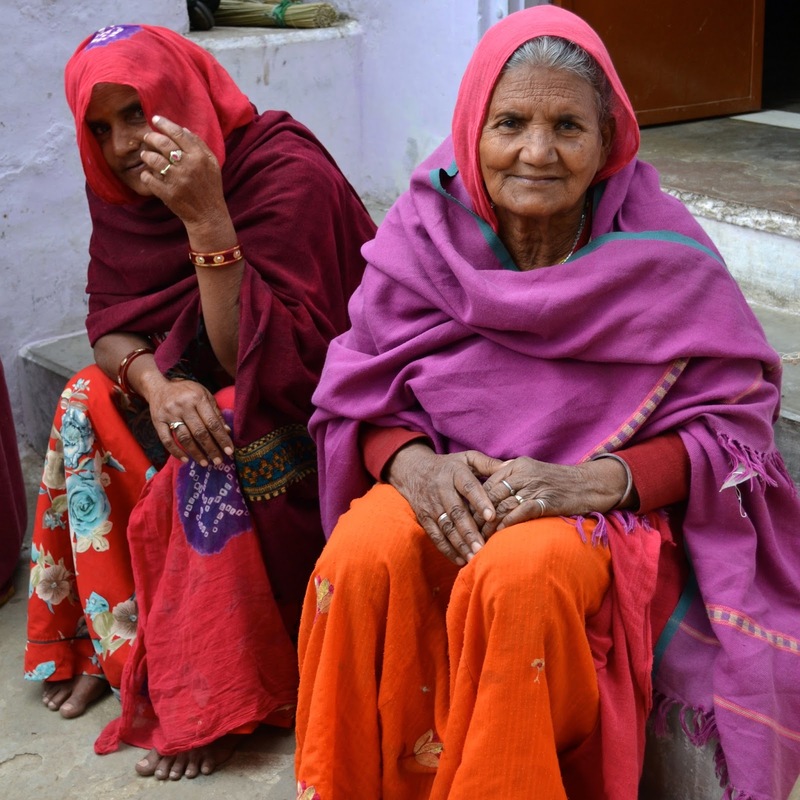 I gained a perspective on humankind in India. 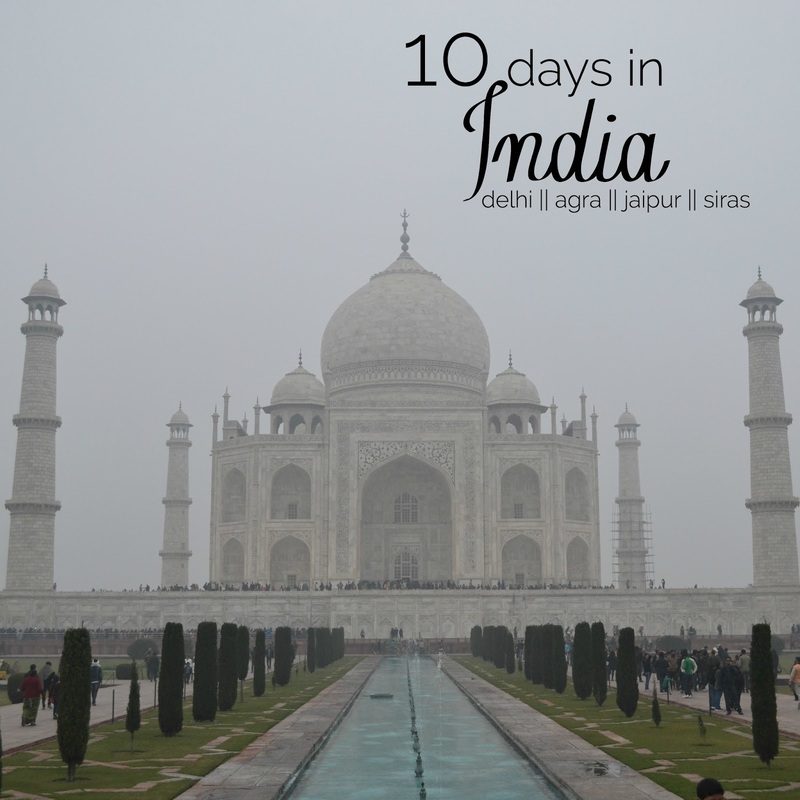 If you get the chance to experience India, do it! It is one of those places that I truly believe everyone must visit if they are able. I would be so happy to talk with you! Happy travels and namaste. Hannah, my lovely granddaughter. Perspective has always been my spiritual guide. It never fails to put me on the right track in my thinking. Your experience in India will be with you forever and I am so proud of you for your curiosity and bravery and your ability to see so clearly what really matters in this world. Looks like such an amazing experience! I have friends who are from India and I love talking to them about the culture and the different areas they have visited. Great pictures, thanks for sharing! In the event that you require a visa to get to Vietnam, you should contact the http://greenvisa.io/ webpage as they are the main trusted online website that can furnish you your visa.